Toast of Downtown, Recapped - San Diego Dining Dish! Last Saturday, the first Toast of Downtown took place in the Gaslamp District. Featuring a drink (a small one) and a bite at each stop, the event was a very jolly holiday time. 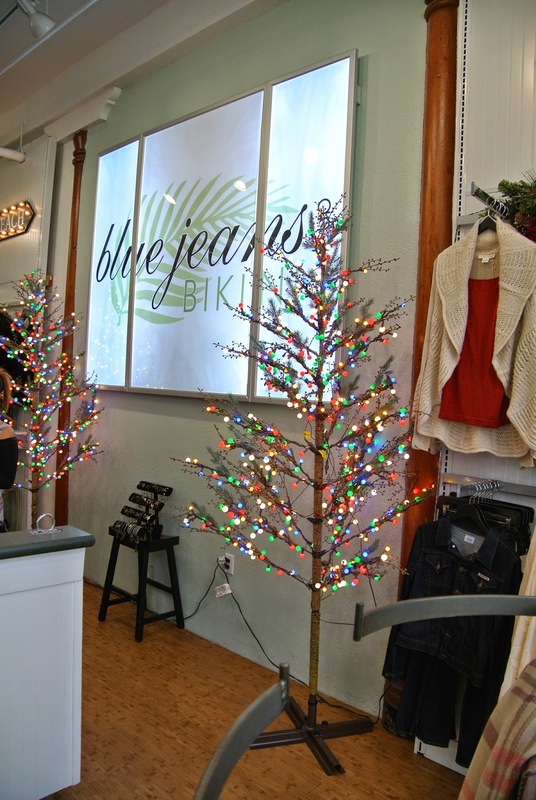 It was such fun to dress up in ugly sweaters and check out all of the stops. 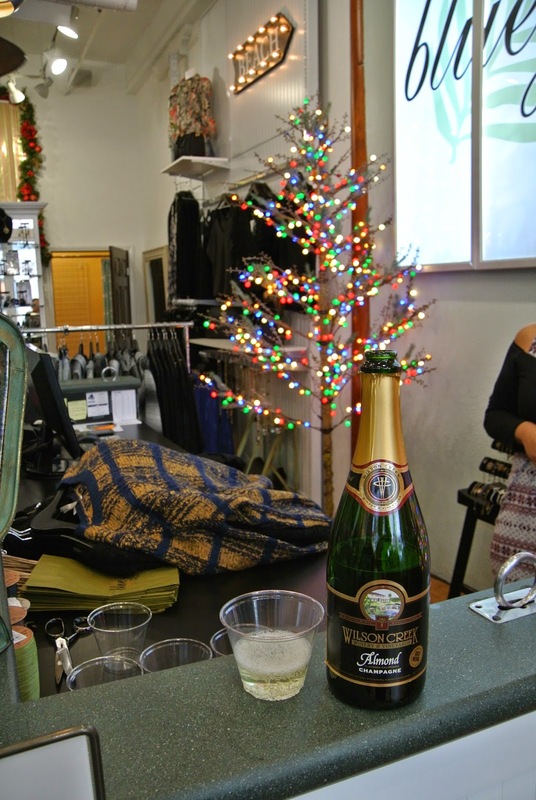 Bonus that featured stores had discounts for ticket holders, as well as sips of champagne! Mai tai and a ginger whiskey with delicious ceviche at Rockin Baja Lobster. Since I knew that I would want to try more of the specialty drinks, I very delicately sipped each. 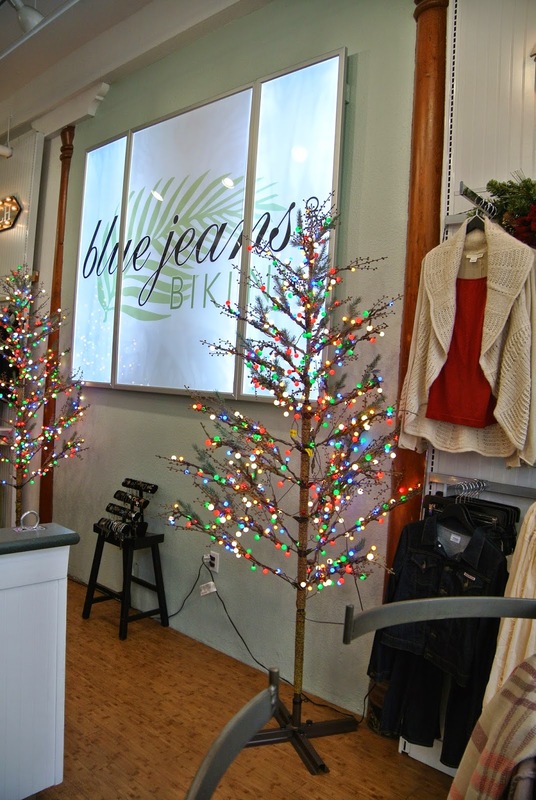 I loved these trees at Blue Jeans and Bikinis. Beers and BBQ at Gaslamp BBQ. My personal favorite -- gingerbread cocktail, Santa's sleigh, and bread pudding at The Field. A pork taco at Don Chido was Steve's favorite. Definitely will return for a full meal sometime. Finished up our tour with a mango drink and chicken tikka masala at Royal India. 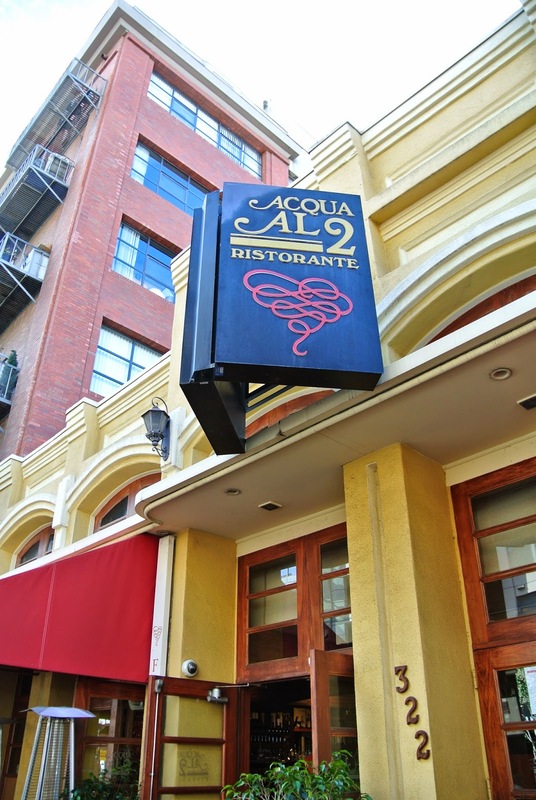 This place always wins the nicest staff award during food tours! In short, I loved the concept of this tour, and really hope that it continues in coming years! Yay a recap on Toast of Downtown! I went too but didn't take notes and got a bit lazy to process pictures. I remember liking the pork with mushroom. It'd definitely a boozy event though with all the alcohol samples! Will definitely consider going again next year!